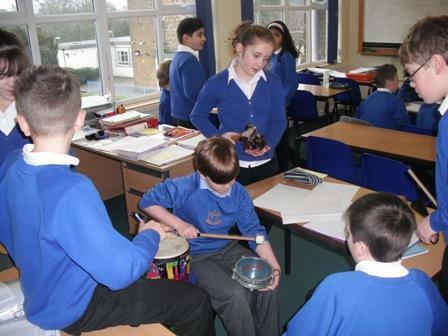 Children are given the opportunity to explore a range of percussion instruments and take up instrumental lessons, which are offered within school by a range of visiting teachers. The musical elements are also explored further through class and year group singing, with a contemporary songwriter focus in upper KS2. 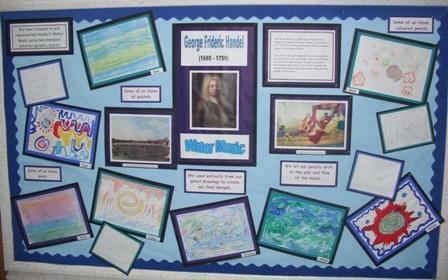 It is the school's belief that all children should be able to access and explore the music curriculum. Controlling sounds through singing and playing (performing). Creating and developing musical ideas (composing). Musical notation (graphic and standard). Listening and applying knowledge and understanding. Music within school is enhanced further through a range of opportunities to perform throughout the school year, such as the Christmas and Easter concerts.